A new brewery is coming to town – except this time, Asheville isn’t the location. Sanctuary Brewing Company will be located in the heart of downtown Hendersonville, Asheville’s southern neighbor. Located a mere thirty minutes from beer city, Sanctuary Brewing will be a drinking destination for residents of Asheville, Hendersonville, Flat Rock, Horse Shoe, and beyond. Lisa McDonald and Joseph Dinan are the power couple behind Hendersonville’s second brewery. Unlike other traditional breweries in the area, Sanctuary is about more than just good beer. Sanctuary is committed to enriching the lives of animals by working with local advocates to promote their well being. This nano brewery will be more then a dog friendly place to sip on a delicious craft beer – Sanctuary will live up to their name by truly being a sanctuary for displaced animals, and pouring support and resources back into the Western North Carolina animal community. “We are starting this business as an extension of ourselves, beer enthusiasts and animal lovers with a strong sense of community and environmental responsibility.” McDonald and Dinan explain. Their goal for the brewery is to serve as an active community resource that helps feed the local economy and Hendersonville community as a whole by sourcing from local, organic products whenever possible. Not only will Sanctuary source local products, but the brewery will be the first 100% vegan brewery in the state of North Carolina. Sanctuary Brewing Company will be 4,000 feet of space, and the plans are to open with a small scale brewing system. “We really look up to Burial Brewing downtown Asheville. We are modeling our growth and production after how well they have done,” explains Dinan. Burial Beer has recently experienced massive growth, introducing more tanks to their system and will be celebrating the opening of their beer garden this month. Dinan will be the mastermind behind the brews at Sanctuary, and you can be assured that the beer will be excellent. He has been home brewing for nearly a decade, and has expanded his knowledge and expertise by working at Wicked Weed, one of the fastest growing and well known breweries in the state. Currently, Sanctuary Brewing Company is using crowdsourcing to help kickstart this massive project. Only started a week ago, their successful campaign has already raised $3,000 of its $10,000 goal. 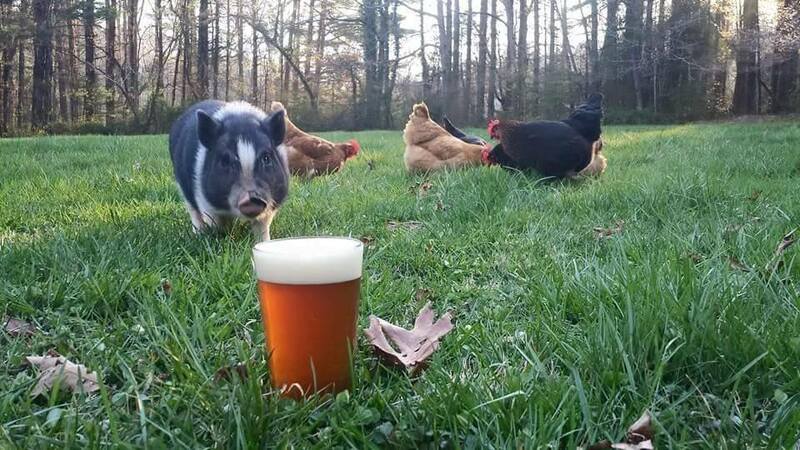 Sanctuary Brewing plans on opening in July of 2015, so soon you will be able to drink beer and support animals all at the same time. Watch this space for updates from Sanctuary Brewing, exclusive sneak peeks, and more!